A policy can be defined as a formal official statement that every member of the organization must follow. It can be related to any issue that links directly to the company’s mission or goals. A procedure can be defined as the process of how the policy must be strategised or followed by the employees of the organization. The human resource is a management which designs or plans all the employment related policies and procedures for the welfare of the employees and their employment. These human resource management policies provide guidelines regarding employment policies of the company. The actual working of these Human Resource policies and procedures include all sort of organisation related employment regulations. Moreover, the activities related to human resource management will be handled in comparison with these policies. Company policies and procedures are very important in any organization. They must be regularized among the employees of the organization, so as to avoid all the uncertain issues that might arise. Having the right set of policies and forms at the workplace is very much important. This helps in maintaining transparency between the employers and employees, which turns beneficial in the long run. Usually, an employee handbook is a documented format which comprises all the important policies of the organization. The policies mentioned should also intend to communicate the company advantages and expectations of their employees. For every employee, individual files need to be maintained by the employer which comprises of important documents and forms related to federal, state, and local laws. Also, this laws directly operates with the HR policies and procedures. Communicate expectations and values to employees of the organization. There are two different parts of human resource (hr) policies, first half of the human resource policies and procedures are formulated on the basis of their source and second half of the human resource policies are provided on the basis of their description. And detailed information about these Human resource policies and procedures are stated below. In this source based human resource policies the actual activities in which all the employment policies are generated mainly rely upon their managers and employees working needs and wants. Moreover, this reliance can be classified in different terms of words and they are as follows. The actual nature of working in relation with the originated policy is handled and established by the senior manager so that the senior manager can understand all the necessary requirements of the employees. Moreover, these senior managers provide these guidelines to their subordinates to improve and develop their professional career. Therefore, it is necessary to understand the originated policies for the empowerment of the employees of the company. With the help of these policies, the managers can express their intention in favour of the company. First of all the actual importance of these implicit policies are implied because of the nature and behaviour of the managers. And that is why these implicit policies are also called and recognized by the name of implied policies of the company.It is quite clear that these implicit policies are recognized by the managers of the company. Therefore, it is necessary to understand that these policies are made in favour of the manager’s requirement. The nature of working in the company doesn’t include only the management of the company. Moreover, as the matter of fact, the organizational structure of the company even depends upon the governmental agencies of the company. The human resource policies and procedures of the company will also provide with the provision that, part of the policy of the company can be governed and favoured by the governmental agencies or trade unions. It is one of the policies which is made for the development of the staff and workers value in the company. It is not an actual policy, as its name suggests it is such kind of policies which are requested by the managers of the company, so the management of the human resource policy will consider looking into a certain situation which is not included in all the above-mentioned policies. The appealed policies can be generated by the managers and employees of the company, but the final decision of that appeal, whether it is accepted or rejected can be decided by the human resource management of the company. The human resource policies and procedures of the company are made for the advantage and benefit of the company employees and their employment. And the nature of working of the human resource policy which is made on the basis of its description can be derived on behalf of the company development. It is one of the policies which is based on the description of its working. The human resource policy based on their description established some of the general policies. These general policies are completely different from the rest of the policies generated from the human resource management of the company. As these general policies don’t belong to any particular issues of the company, and that is why it is named as the general policy of the company. As its name suggests, the specific policies are those types of policies in an organisation which is related to specific issues of the company such as staffing, recruitment and salary related issues. Therefore, these specific policies are designed to undertake those specific issues of the company. Moreover, all the working order of these specific policies of the company favours all the staffing related issues of the company. All the additional aspects and types of human resource policies are established with the criteria of company requirements which is beneficial for their employers and employees. Therefore, it is necessary to understand all those criteria of such human resource policies and procedures based on their additional aspects. Some of the workplace policies and procedures are designed for the sake of the employee benefit. And attendance relates policies are one of the common policies made by the human resource of the company, wherein which it needs the employees of the company take an active shot on their responsibilities assigned by the company. There are certain types of leaves which is allowed occasionally or suddenly for all the employees of the company such as sick leaves, pay leaves, without pay leave and much more. It is one of the criteria where in which the human resource policy department of the company designs their priority in the manner of the company policy. These policies designed by the human resource department of the company are created to examine all the behaviour of the employees of the company. Therefore, it is necessary for the employees and the managers of the company to step in strongly in the matters of the company policy. Some of the policies such as appealing policies are made on the basis of the requests received by the managers and the employees of the company. It is one of the beneficial policy of the company which doesn’t include any type of specific rule and regulation in terms of the company matters. Therefore, these requests can be made for the welfare of the company and its employees. The employees of the company can raise their voice against any issue in the format of a request for the purpose of company growth and employee development as well. It is a common measure that management and organization of the company need to plan before anything. It is a safety and security measure of the company. And it is formed for the protection of the company managers and its employees. Therefore, there is nothing as the safety policies of the company are only for the managers of the company. Moreover, the actual working part of the company is created for the employees of the company and that is why the company holds on to the responsibility that it should safeguard all the members of the company. 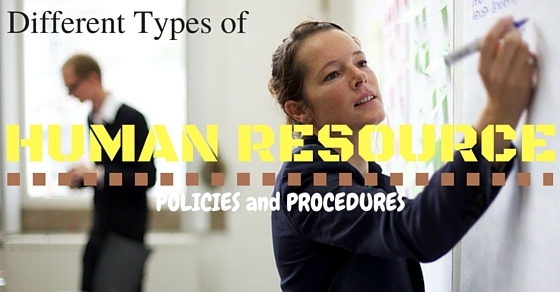 The following subjects are a major part of the human resource management policy procedure. Without these matters of a subject, no human resource policies could have been formed. Most of the company follows these human resource policies for the sake of better opportunities. It is one of the ways of the behaviour of the company policy, which includes actual parameters of the company for the development of the professional approach towards the employees of the company. Therefore, all these aspects of subjects matter the most in the growth programs conducted for the company employees. Every employee of the company, whether it is a government based company or private company, they all expect some sort of performance evaluation based on their growth in the company. These performance evaluations are conducted for the sake of the development of the employee role in the company. Therefore, it is very essential for all the employees and the employers of the company that they need to work as per their expected performance ratio. These termination policies act according to the reason for the termination. There are different types of reason and purpose for the termination. Some of the terminations can be made based on the bad performance ratio of the employee. And some can be made for the growth of the company in the name of recession. And the rest can be measured in the parts of voluntary resignation, depending upon their own personal and professional reasons. Therefore, it is very important for all the managers and employees of the company that these policies are for the safety of their own self. Hence, it is all settled and informed clearly in this discussion that human resource policies are designed from two parts of the policy and if anyone needs to know more about this, then they can follow all the above details regarding HR policies.